Well, shake my sonic screwdriver. They have only gone and done it haven’t they? Made the iconic character Dr Who into a female. It’s an outrage, why can’t things stay the same. Dr Who has always been male – should always be male (or so some would say) and regenerating into a female is going to ruin the show, taint the brand, kill the franchise. They have even moved the TV slot from Saturday to Sunday, madness!! Bit dramatic. What has really happened? The show has enjoyed the biggest series launch viewing figures in 10 years!. Dr Who is forever changing, it in the characters nature. It’s a really clever way of extending the franchise for over 50 years and giving generations of people the “dr who” experience. The main character may change but the core values remain the same – time travel, good vs evil, right from wrong, using brains over brawn, problem solving, the human condition. The longevity of the series might actually been down to constant change, its upgraded, its Who 2.0 , it changes with the times and shifts into being culturally relevant for each new generation of viewers. It seems like like the writers have their finger on the pulse and get a feel for what is socially, culturally and economically going on and weave it into the show. So how about your business? Are you agile enough for change? is change even on the horizon or is it the last thing on your mind? One of the most crucial words used when describing the marketing function is anticipation. As marketers we spend a lot of time “reacting” and “firefighting” – sound familiar? To take our businesses to the next level we need to start anticipating customer needs and embracing change. Part of that process is to take a wider look at the business environment – to use data effectively and to study trends and identify new opportunities. Be honest, how much time is spent in your business doing “business as normal”? How much time is dedicated to innovation and just thinking about new ideas? Technology can help us innovate but it can also shackle us by getting us tied into legacy systems. Systems require processes, processes get formalised and before you know it , you have operating procedures that act like white blood cells, suffocating ideas, free thinking and autonomy. As we lurch further into the data economy, tip toeing through the personalisation minefield we need to make sure we keep one eye on the external environment – don’t forget a simple tool like a PESTEL analysis is such a clever, clever way of opening the conversation about relevance, cultural shifts, economy and technology. Just think of those major high street brands disappearing from our streets. These are not fly by night businesses, these are well established, trusted brands. 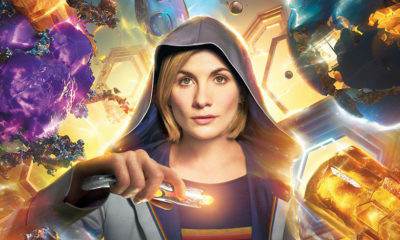 They really should be taking a leaf out of Dr Who’s book, change, innovate, be brave – get your finger on the pulse of your audience and anticipate what they want next. Successful businesses adapt. Dr Who’s greatest foe are the Daleks – perhaps they are a metaphor for not keeping your business in line with change, EXTERMINATE! EXTERMINATE! If you feel you are ready to take a different approach online and you need someone to facilitate your thinking , take a look at our consultancy services or please get in touch.